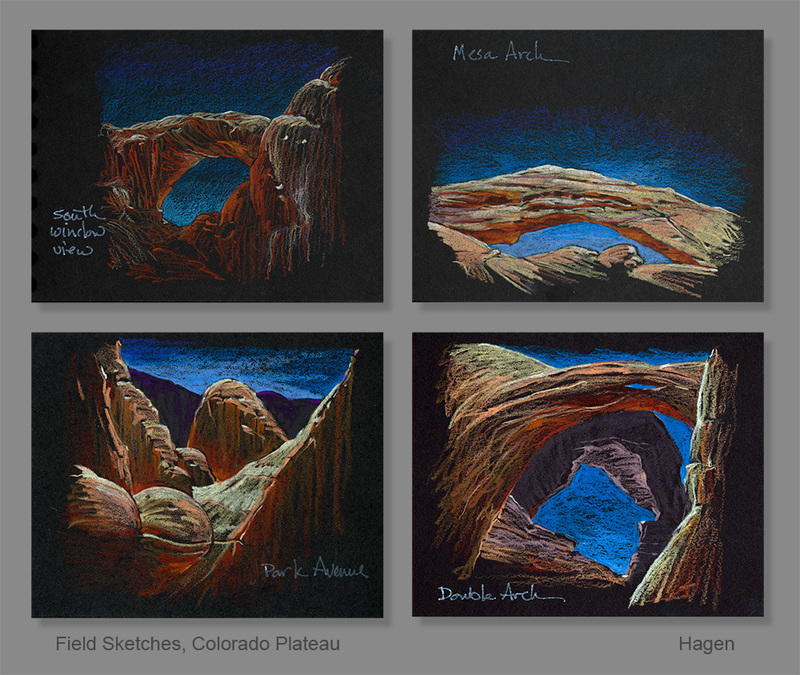 These are field sketches done during an IAAA workshop in Arches and Canyonlands in the American southwest. I tend to work small, 5″ x 7″ in this case. Prismacolor pencils are easy to carry and I can finish a sketch this size in a reasonable amount of time. I find that sketching, by its nature, causes me to pause in a landscape and look with an intent I don’t have when I take a snapshot. For me, it better cements a place in my mind and memory. I also find that making my hand create an image of what I see builds an interesting understanding of what I am recording and interpreting. The science of the geology is a wonderful thing and this is also a way to understand the planet.